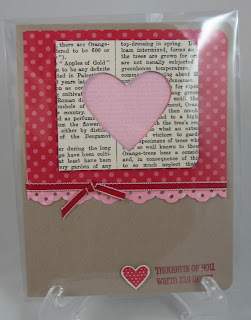 Here are the cards we made in my Filled with Love Valentine's Card Class this past Sunday. We used the Filled with Love Stamp Set (from the Stampin' Up! Holiday Mini 2010). Stampin' Up! 's current promotion is the Filled with Love Bundle. In this bundle you can select either wood mount or clear mount stamp set, a package of special DSP, and a container of clear Itty Bitty Buttons! 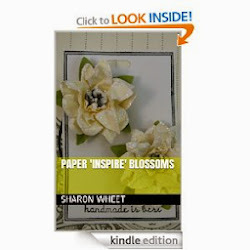 So, I added some solid cardstock, and we created these lovely cards! How fun! They each have their own look and feel, so you will have a card on hand for all your Valentines! I will be hosting another Valentine's Day card class at the end of the month. 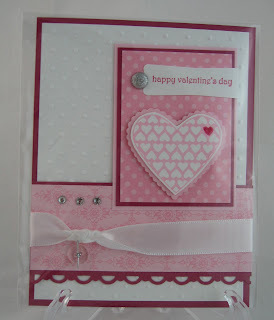 We will be making 3 different cards, using various Valentine's Day stamps. So, if you weren't able to attend, or pick up a kit, don't delay and sign up for my next Valentine's Day card class. (All non-attendee kits come with color photo directions, a supply list, and all materials to complete the cards.) The only product you will need to complete these cards, is your favorite adhesive. 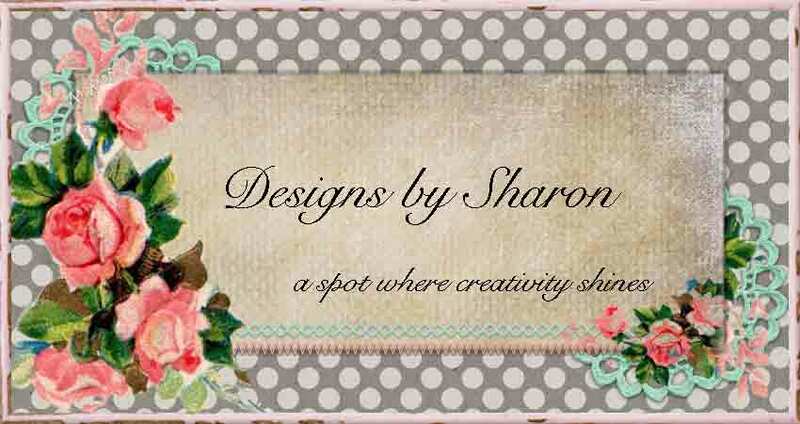 Great cards, Sharon! I wanted to give you a BIG welcome to the OCC DT! It's great to have you aboard and look forward to working with you!